It’s refreshing to see property developments that are the first to offer affordable housing in an area that is hungry for it; this is exactly what Caliber Properties’ recent development did. The Gayles in Evander, Mpumalanga has a land mass of at least eight hectares and, before digging in, Caliber kicked the project off with a market study, which reveals that there is huge interest from Sasol and other mines in the area. “There’s a serious shortage of housing for rental and ownership, there’s a lot of potential here,” says Marlisé Taljaard, development manager of Caliber. What the study also found is that The Gayles is in the affordable bracket and gives value to first time buyers. “People over the age of 50, who are scaling down, also found value in the estate,” she adds. Construction on the project is divided into three phases. The first is 80% complete and fully occupied, with the second phase filling up fast. Earthworks began in 2013. “It is still in progress we are selling and building as we go along,” shares Taljaard. The complex has 324 units with an estimated size between 43 and 86m2. 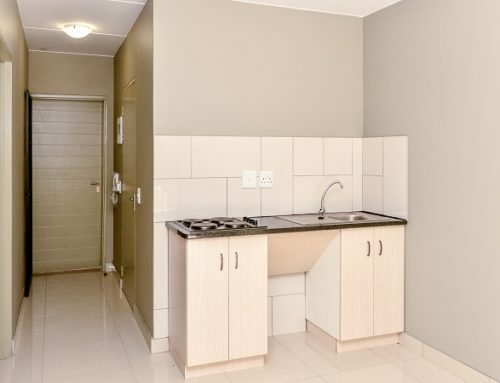 Units are made up of two bedrooms and one bathroom as well as three bedrooms and two bathrooms – both units include a lounge, a melamine kitchen with post Formica tops, electrical hobs and ovens, white melamine cupboards in the bedrooms and tiles throughout the house. “Fifty square metres of grass are provided at each house, with a washing line, paving and aprons around the house. It’s a good product with more than the basics,” says Taljaard. Boundary walls with a gate are installed to fence off the back yard. 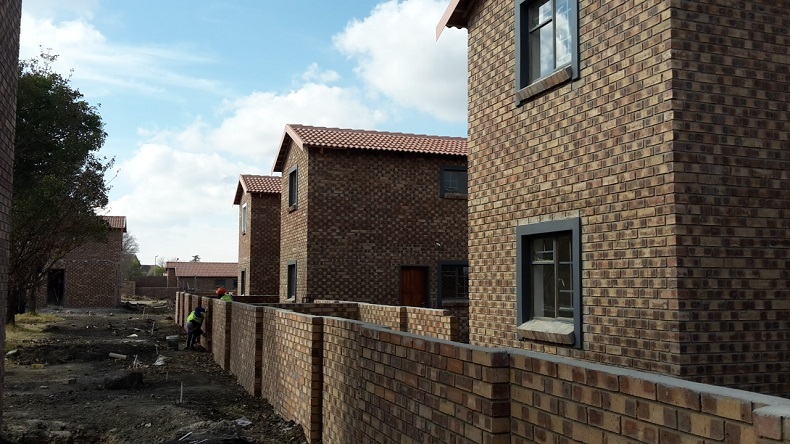 Rental prices range from about R5 000 up to R7 000 a month, while the free-standing homes have a price of between R554 825 and R900 000. The site forms part of the Govan Mbeki Municipality. It is adjacent to the R580 between Evander and Secunda and is accessed from the N17 highway. “It takes 10 to 15 minutes to drive to Secunda. 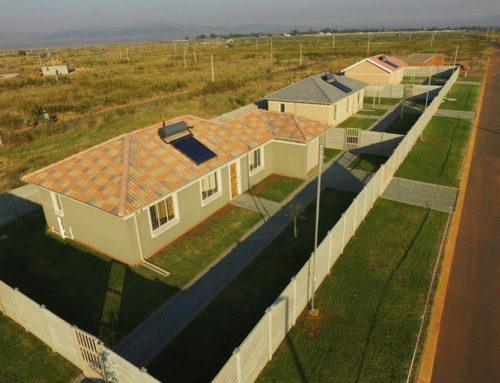 The estate is also closely located to a big mall and public facilities like schools and hospitals,” says Taljaard. With the offering of an affordable product is top of mind, the company made use of building materials that require low maintenance. 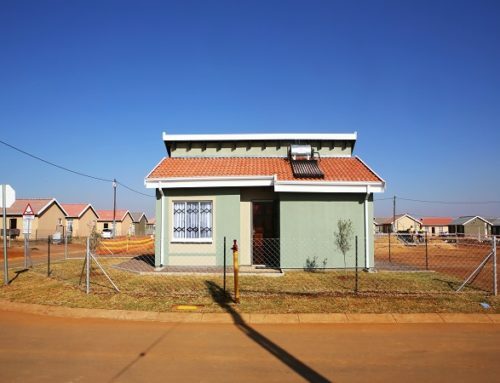 Materials such as concrete roof tiles, facebrick and steel windows were selected to achieve this. Caliber faced a few challenges when it came to be involved in the project. Despite this, they were able to employ locals to help with building work such as brick laying, excavations and paving. 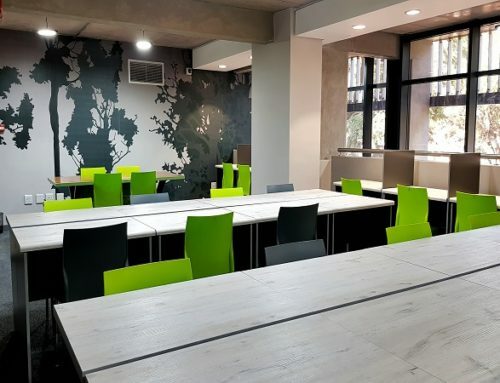 “We’ve extended a contract with one of the contractors for the next phase of the project,” says project manager, Martin Croukamp. Other challenges experienced were around securing service level agreements and approval of plans at city council, the distance between major suppliers to the site also created challenges in terms of project management. What Caliber admires most about the project is that there’s nothing like that in the area. “The community does what they have to do to keep the place intact. There’s community engagement. 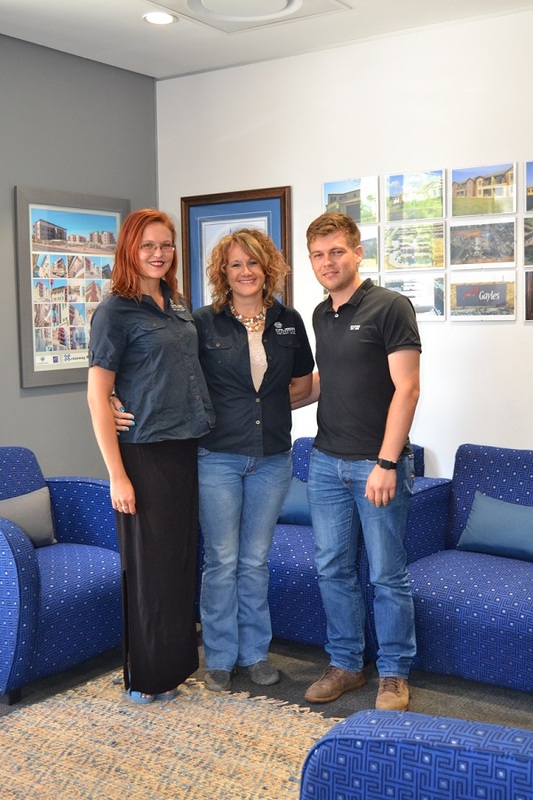 They care for each other,” says sales and marketing manager, Nenique van Rensburg. 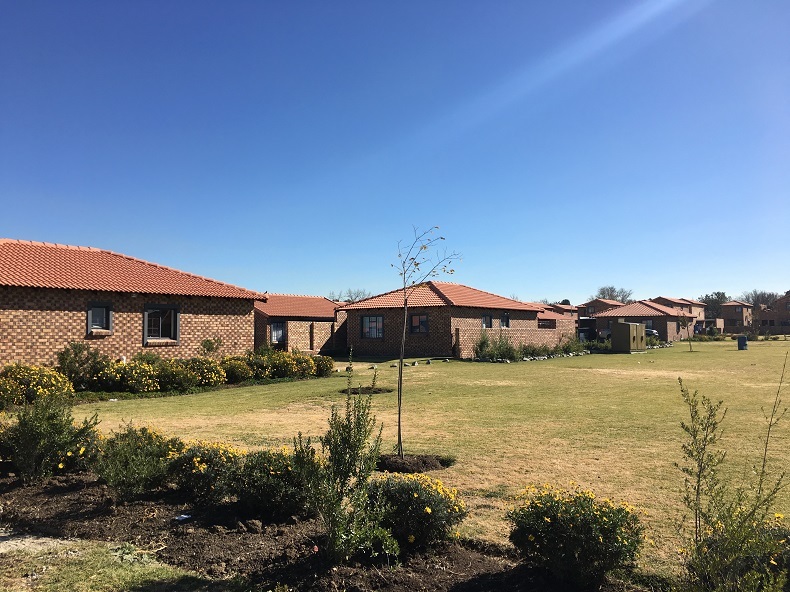 The project won the Developer of the Year award at the South African Affordable Residential Developers Association (SAARDA) annual golf and awards evening held at Glendower Golf Club last year. “We were very excited when we won the award, I was flabbergasted. It motivated us to go to higher standards and go bigger with our service, providing homes. It’s always nice to provide a house to a first-time buyer and the project is successful,” Taljaard expresses. “Everyone deserves to have their own house. We invest in people’s futures,” concludes Van Rensburg.